Researchers at a Southern California university announced earlier this week a breakthrough in welding technology that makes binding a popular aluminium alloy possible. A team from the UCLA Samueli School of Engineering says their new method for welding 7075 has overcome the limitation experienced up to now, namely the fact that heating of the metal beyond a certain point causes it to buckle. They addressed this problem by infusing titanium carbide into welding wires, which help to avoid cracks along the weld. The team says the resulting welds are significantly stronger than welds of other alloys. While comparable welds of 6061 aluminium alloy have a tensile strength of around 161 megapascals, welds on 7075 using this technique yield a tensile strength of up to 392 megapascals. 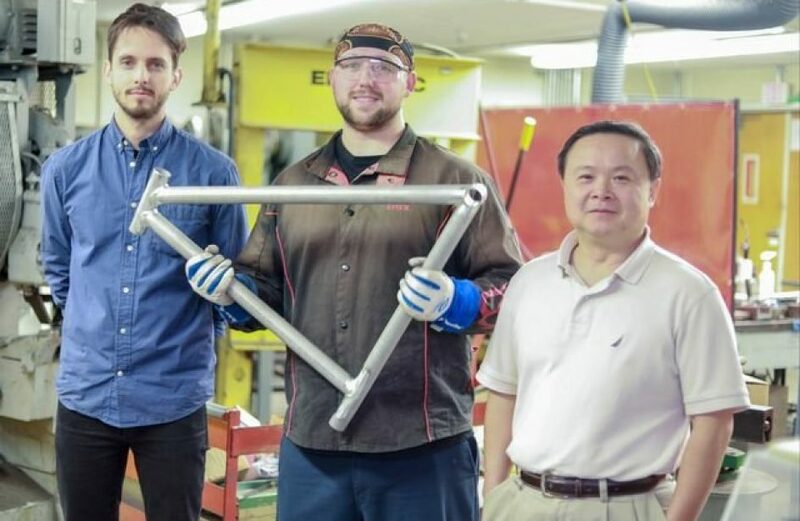 Additionally, if given a post-welding heat treatment, the team says the tensile strength could increase to 551 megapascals, approaching the strength of certain kinds of steel. As a result, the team expects that the new welding technique may see use in the aircraft industry, where 7075 is currently joined using much weaker methods including riveting and bolts. Xiaochun Li, UCLA’s Raytheon Professor of Manufacturing and the study’s principal investigator, says this breakthrough means 7075 may soon find use in a wide array of new applications. A partnership with a bicycle manufacturer will soon yield a prototype frame made from 7075, reveals the team. Ultimately they predict the technique may see use wherever lightweighting is deemed important, including aircraft, electric vehicles, smartphones, and rock-climbing equipment.